Mamidikaya Pachadi in telugu or Avakaya pachadi recipe also known as Aam ka achaar in hindi and Raw Mango Pickle in english. 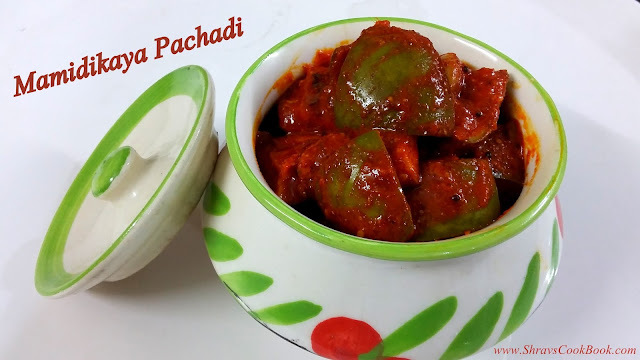 Mamidikaya mukkala pachadi is a popular south indian mango pickle recipe with its origins from state Andhra Pradesh. This andhra mango pickle recipe is popular world wide as it holds a "Guiness Book of World" record. This record is given to this pickle because of its delectable and impeccable taste which stays fine for almost an year which is exceptionally a greater shelf life for any kind of recipe. The main ingredient in this pickle are freshly plucked raw and unripen green mangoes. Mamidikaya Mukkala Pachadi is usually prepared in summer due to the peak availability of green mangoes. Mukkala avakaya pachadi i.e. 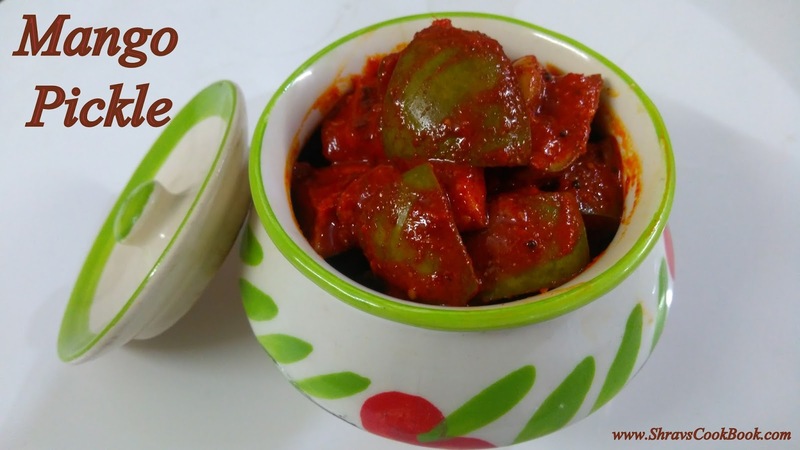 our Cut Mango pickle recipe andhra style can be made in many flavours with slight variations and extra add-ons. Some of the varieties are Bellam avakaya, pesara avakaya, kobbari avakaya, nuvvula avakaya, ava podi avakaya etc. Magaya is yet another variation of avakaya pickle where sun dried mango pieces are used. 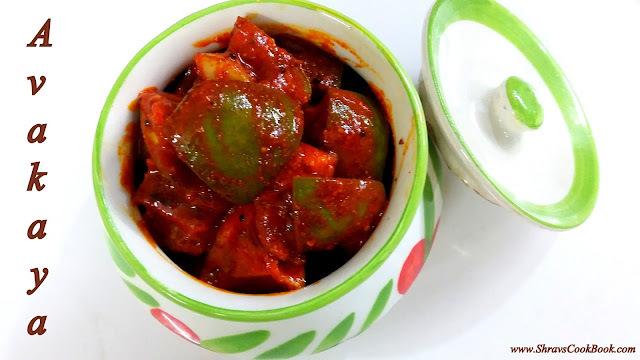 Green mango pickle recipe or Raw Mango Pickle recipe is preferred to serve with piping hot steamed white rice and a dollop of ghee along with mudha pappu (optional). Along country side people eat avakaya with chadhi annam (previous night's left over rice), majjiga (beaten yoghurt), mirapakaya (green chilli) and chinna ullupayalu (shallots i.e. sambar onions) in their breakfast. Here today I am showing the very basic version of pachi mamidikaya pachadi andhra style. Now let us learn how to make mango pickle at home. 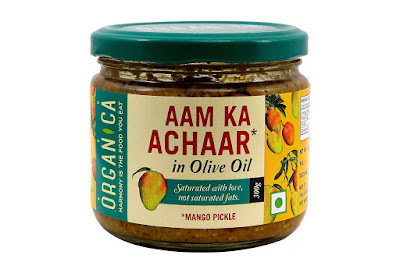 While buying things online I found this and I felt it really interesting as olive oil is used in this mango pickle's preparation. 11. Rest this for 3 to 4 days, keep stirring once in a while. 13. Also oil floats on top of the pickle which symbolizes that our yummy Mamidikaya pachadi aka avakaya pachadi recipe is ready. 1. Once you mix all the ingredients together oil will not be much visible, but after resting it for 3 to 4 days you can see the oil floating on top of the pickle. 2. Take care not to put any moist spoon while serving the pickle out of the jar as this moist can spoil your pickle by forming some fungus.